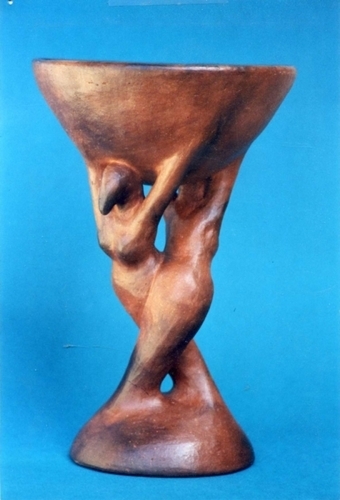 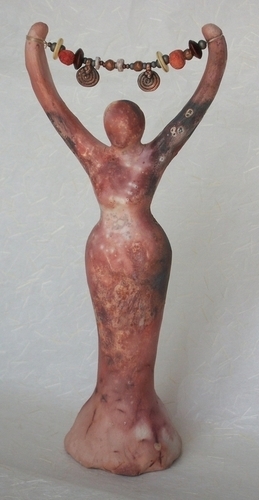 clay sculpture, based on an Egytian Goddess, fired in a saggar firing, then strung with assorted beads. 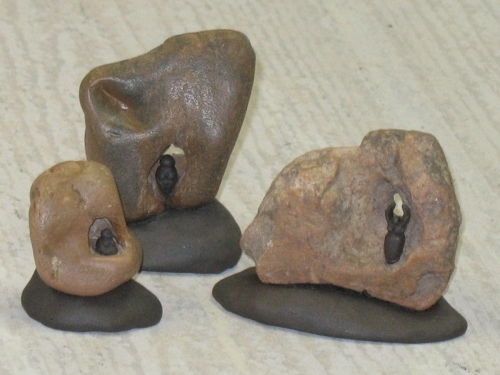 A tiny black clay goddess appears in the opening of each stone, sitting on a black clay base. 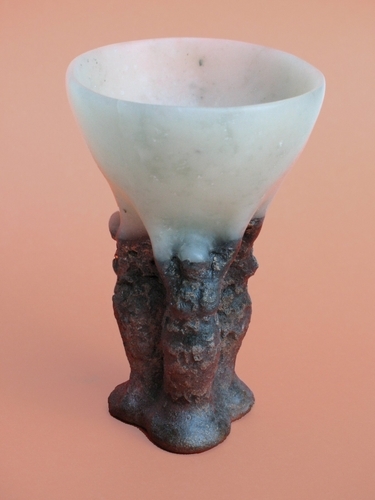 The largest is about 3" tall, the smallest 1 1/2".